My driver’s license was due to expire on my birthday this year. Since I am licensed in Nevada and for this renewal they were telling me I had to renew in person, I had to get to Nevada before my birthday. Fortunately, my friend Steve, who has a house in Tahoe, was planning to make a trip up there around early to mid-February. And, our friend Tim was interesting in skiing and this winter has seen epic snowfall, therefore, the stars aligned so that we could make the trip so I could get my licensed renewed and ski for a couple of days in near ideal snow conditions. The rain and snowfall in California this winter has been substantial following years of drought. The drought has not been completely resolved but there has been significant progress. 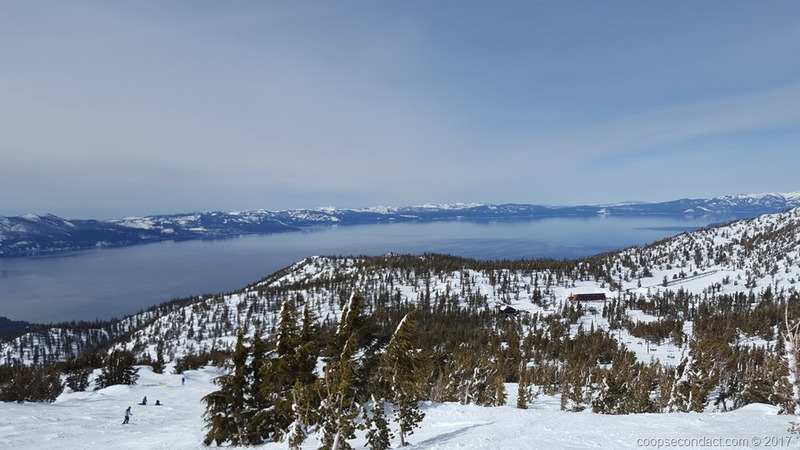 The mountains in Tahoe have recorded more than 440 inches of snow for this winter. Needless to say this is most welcome since the skiing conditions during the drought years were sub-optimal.